Frank Charles Lehman age 70 of New Philadelphia, passed away November 4, 2017 following a courageous battle with cancer, with his family by his side. He was born July 31, 1947 in Dover, Ohio to William and Erika (Wyman) Lehman. Frank graduated from St. Joseph High School in Dover in 1965. He proudly served in the Army at Fort Hood during the Vietnam War. He worked at the EPA, as a Sheriff’s Deputy, at Handy & Harman and Snyder Manufacturing. Frank started out playing Santa for family which turned into traveling all over the country as “Santa on Vacation” for the past 10+ years, often riding his Pedego electric bike. 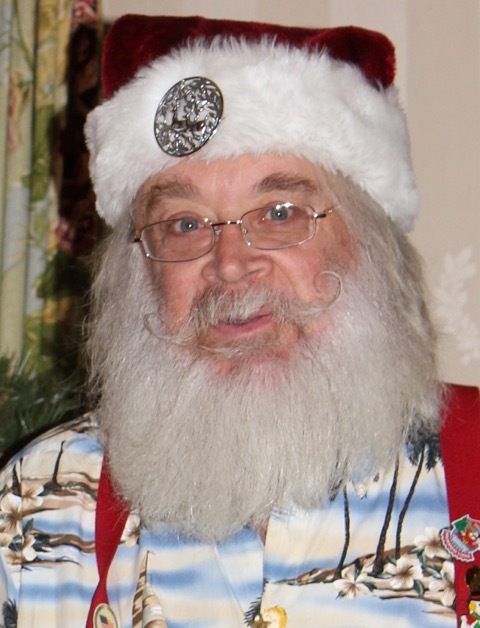 a sister, Shelley Cook (Joe Miller) of Dover; numerous nieces and nephews and many children who loved “Santa”. Frank is preceded in death by his father, William Lehman. In keeping with his wishes, cremation has taken place and private family services with inurnment will be held later at the Ohio Western Reserve National Cemetery in Rittman OH. Memorial contributions can be made to Community Hospice, 716 Commercial Ave SW, New Philadelphia, OH 44663. Condolences and special memories can be shared with the family at www.heritagecremationsociety.com. What an amazing gentleman and former classmate, Frank. Your energy and joy of giving is always remembered as you have touched the lives of so many. We can only strive to give as you have given.